Jenny & Dave love to laugh with one another – after shooting a crazy cool engagement session with them (where we almost got swept off the rocks at Muriwai – ssssh!) 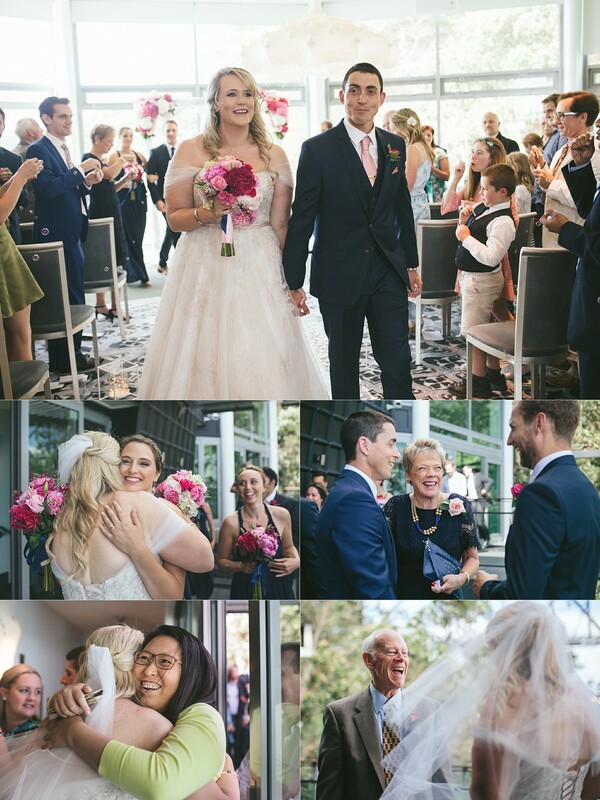 – I knew that this wedding was going to be super fun… and they didn’t let us down! From Dave trying to pull Jenny’s hair into a shape that made it look as though steam was coming out her ears, to some awesome one-liners throughout the day – we had a blast with these guys. Dave is a keen cricketer – so the morning kicked off with the guys trying to take each other’s heads off in the indoor nets. They followed up with a hot shave & then off to the Wharf to get married. After the ceremony we headed out for a few photos nearby, and even managed to sneak in a sunset (which was somewhat interrupted by the arrival of the Northcote ferry at the exact time we were shooting on the pier. 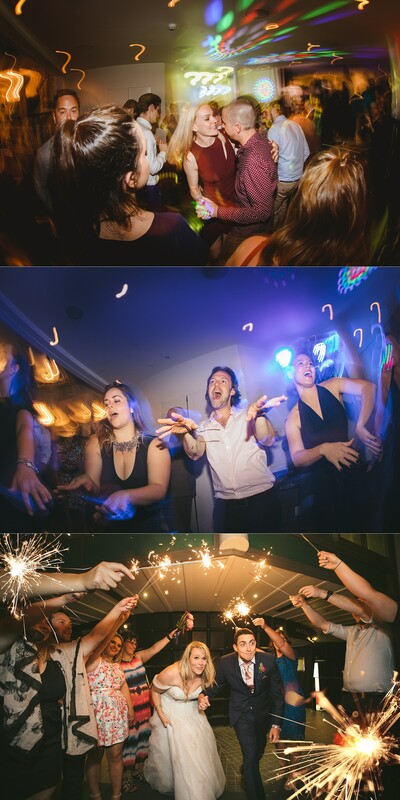 The night wrapped up with a cool sparkler exit – which then turned into a chat in the carpark because while the exit was beautifully orchestrated, they still needed to wait for an uber to arrive!! If you’ve enjoyed Jenny & Dave’s The Wharf wedding photos – be sure to leave them a comment in the box below. We know they’ll be stoked to hear from you!